MiR Women vest is design for women to maximize comfort and mobility. With 5-30lbs of weights, we designed a vest that has weight distributed equally to ensure comfort throughout the workout. No matter if it's running, walking, or an intense workout. 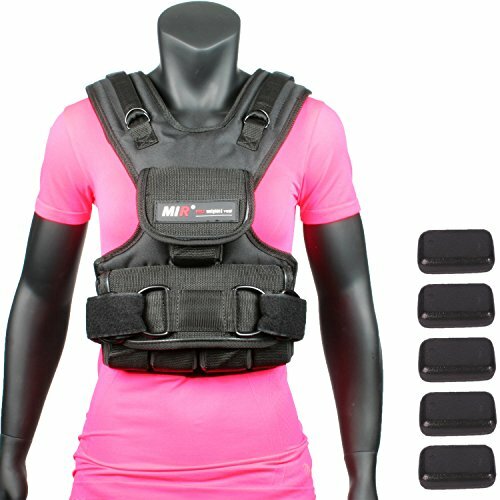 MiR women vest is design to let you breathe easy and train hard. With adjustable straps, and shoulder straps, it gives you the secure and snug fit that you want out of all vest. It gives you the range of motion, and yet is a perfect fit for your body. Made with 1200 D-Nylon, it gives you the comfort and durability at the same time. Workout with MiR Vest, and get back in shape again, get that body you want, quicker and better. Great Design for maximum comfort. Secure and snug fit on the body for a great workout. Includes one adjustable velcro belt, and 20Lbs of total weight. Adjustable in 3lbs increments. 30lbs Maximum.